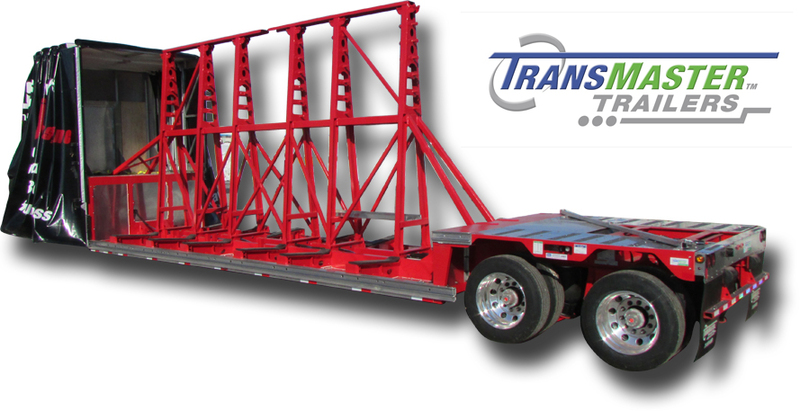 Load Covering Solutions & TransMaster™ Trailers teamed up to supply a dedicated glass hauling trailer for the transportation industry. 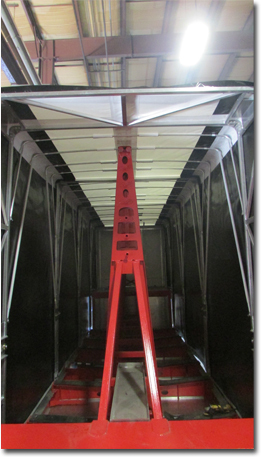 The system releases from the rear upper deck and slides forward transitioning onto the front upper deck providing clear lower deck clearance for loading of glass shipments. 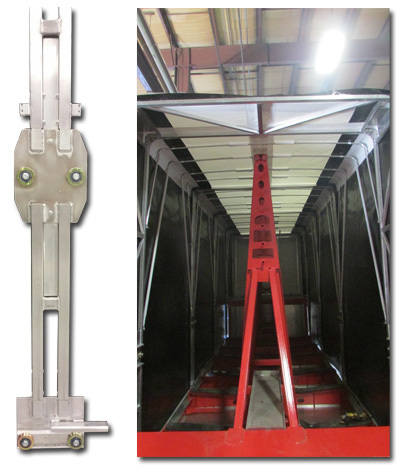 frame system for double drop deck trailers is constructed from a heavy duty dual extruded design with a transitional car plate and upper wheels to allow the lower deck to transition onto the upper deck. 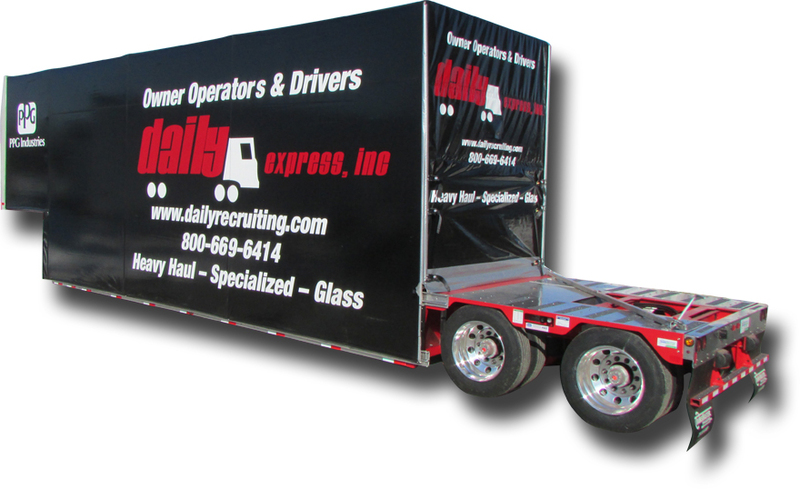 Billboard Advertising - Join the vast groups of companies that understand the enhanced value of using load covering systems to broadcast corporate messaging maximizing your return on investment.